The European Commission has opened an in-depth investigation into Germany’s approval of Deutsche Telekom’s plan to use its existing copper wiring to connect homes and offices to its high speed fibre optic broadband network because it could harm competition. Germany’s telecoms industry regulator BNetzA approved in November Deutsche Telekom’s plan to use vectoring technology to double the bandwidth of the existing copper lines running from a fibre-connected central distribution point to give download speeds of up to 100 Mbps instead of running fibre all the way into homes and offices – known as ‘fibre to the premises’ (FTTP). Vectoring technology only works when applied to a whole bundle of copper cables, meaning individual lines cannot be physically unbundled to give access to alternative operators. Competitors, including Vodafone, say the pending regulation will prevent them from accessing the most lucrative parts of Deutsche Telekom’s copper cables. The competitors also argue that the rules will delay Germany’s transition to faster glass fibre because Deutsche Telekom will continue to use its copper networks for the next few years. But Deutsche Telekom argued that vectoring is the only affordable way to provide high-speed internet. The German company said that it cannot afford to pitch in the €70-100 billion needed to build glass fibre networks around the country. Rivals would get “virtual” access to the copper ‘local loop’ network, but the Commission said this arrangement would deny the degree of control necessary to differentiate their retail offers from those of Deutsche Telekom. The Commission said that the plan appeared to have a “considerably restricting effect on alternative operators who buy access from Deutsche Telekom” and would discuss it with the German regulator over the next three months. If no solution is found at the end of that period the Commission could ask the German regulator to withdraw or amend its decision. 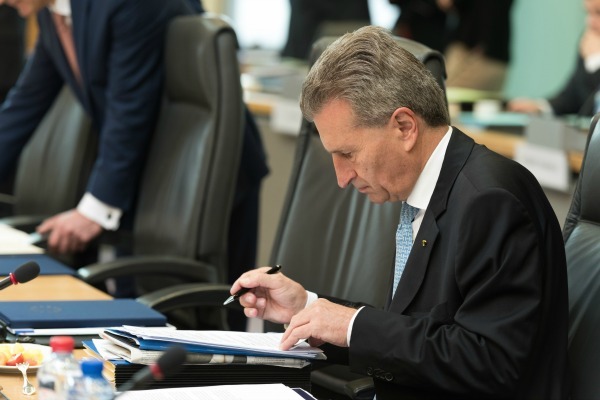 Thirteen German MEPs sent a blistering letter to EU Digital Commissioner Günther Oettinger slamming the German telecoms authority’s decision to allow the controversial vectoring technology on broadband networks. 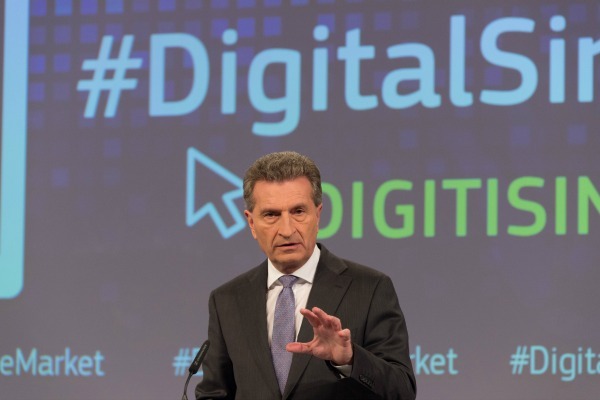 “Our aim is to allow both a network upgrade and high quality access for competitors,” said Guenther Oettinger, the EU’s commissioner for telecoms. Vectoring technology is an intermediate solution and the Commission says it has concerns that Deutsche Telekom’s plan could have an impact on incentives for fibre investment over the longer term. However, Deutsche Telekom said that it expected the German regulator’s decision would eventually be upheld in Brussels. “Without vectoring many rural areas will remain in the monopoly of cable providers and will be excluded from competitive offers,” the company said in a statement. 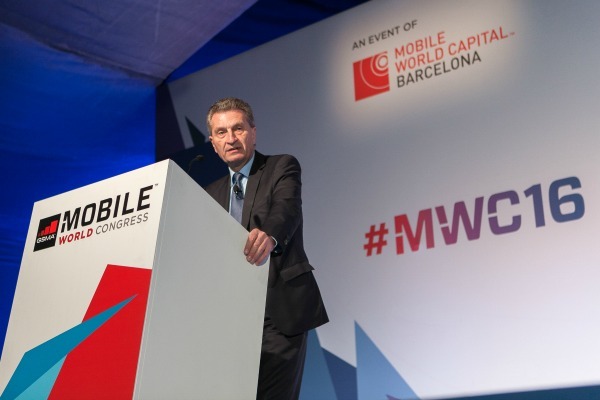 Gijs Phoelich, Chairman of the European Competitive Telecommunication Association (ECTA), welcomed the Commission's investigation: "ECTA has very serious concerns regarding the consequences of this measure which, if implemented, would jeopardise sustainable competition by wiping out challenger operators from the market and obstructing the path of their fibre investments." The Commission's move was also hailed by Vodafone. "We welcome and strongly support the European Commission's decision. Businesses and consumers in Germany and across the EU as a whole need world-class competitive gigabit fibre networks to ensure future prosperity. Attempts to remonopolise - of the kind now under scrutiny by the Commission - would be fundamentally at odds with the spirit of European competitive telecommunications established more than 30 years ago. The decision to open a Phase II procedure gives the time required to find a good and fair solution that will enable German businesses and consumers to benefit from both faster broadband and competition. We are confident that solutions can be found that enable this." The upcoming reform is expected to affect investment in telecoms networks, access to networks and competition with internet services like Skype and Whatsapp. Big incumbent telecoms companies argue those services aren't regulated as rigorously--and they demand a 'level playing field'. In November 2015, the German national telecoms regulator approved a request by Deutsche Telekom to use the controversial vectoring technology to deliver highspeed broadband, which competing companies say will crowd out their access to networks. The executive was notified about the decision on 7 April 2016, and will then issue its own decision about whether the deal breaks EU law.